The importance of data retrieval for a forensics investigation requires expertise in identifying the exact digital material that was destroyed or compromised during the incident. A recovery effort is required to facilitate a forensics analysis. This would come from its most recent backup activity. CyberSec has worked with law enforcement officials in both digital forensics analysis and collection reporting to help provide companies the validated information needed, to present recovered files as credible material in a court of law. When collecting artifacts during a computer breach investigation, the event requires not only retrieving the data in-scope of the incident, but it’s credibility on being tamper-free when it was managed. 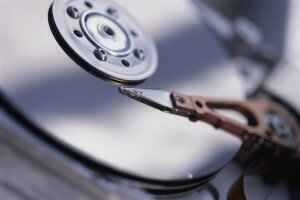 Our teams provide the restoration and reporting assessment techniques to ensure file date creation labels, checksum binary content verification against the last backup copy, and file ownership attributes were consistent on past integrity validations during the backup process, were correctly managed as needed. Our computer investigation specialists can give your teams the procedures required for a successful forensics incident reporting experience. We specialize in Root Cause Analysis (RCA) review reporting and collect date-stamp transaction changes in both system audit logs and file attribute modifications to create the end-to-end incident picture of the event. This collection will give confirmation of the actual session linking information versus theorized allegations that may not be credible as admissible artifacts for presentations in legal court cases. Transport and system process captured is culminated into a comprehensive findings report of the event that can tie-in either a user’s identification or network target source that can be presented giving chain-of-custody confidence and quality assurance. Recovered data confirmation reviews can consist of files, audit logs, emails, or captured network transactions based on the type of restored computer information and its violation incident type. We can provide the best practice approaches needed to ensure the chance of spoliation of evidence. Spoliation could be caused by accidental or intentional negligence or ignorance based on the strength of the security process control designed to protect the data. Our teams implement reliable process assessments with your support administration department, to ensure the possibility of Spoliationis as controlled as possible. Technology and process handling requires a tight, controlled approach proven to exist in your current infrastructure. This is needed in a court of law review. Why hire Data Recovery Forensic Experts? Ourexperience indata retrieval procedures, along with producing reliable forensic finding reports will give an organization the legal confidenceit needs to better manage in-scope recovered computer material requiring a detailed review during a legal court proceeding. We have the expertise in network communication, disk storage, data files, audit logs, and database recovery best practices to make sure your business has the strongest evaluation procedures in place. We provide experienced, real-world subject-matter-expert professionals who help give the most secure and detailed findings giving your company the holistic coverage needed during a data-related investigation. Arkady Bukh is veteran criminal defense lawyer and a national expert in cybercrime. Arkady is experienced in any compliance and government regulations issues. Arkady Bukh is your source for comprehensive legal advice when you turn to Aegis Cyber Security to provide your business with a full slate of cyber security solutions. Mr. Bukh’s role with Aegis is legal compliance. He provides cyber litigation support; assistance understanding government regulations; and legal representation to protect your company’s online brand. Arkady Bukh is uniquely qualified to provide comprehensive legal advice related to all of your company’s cyber security matters. Mr. Bukh has been practicing law since 1972 and has become a trusted legal commentator who frequently appears on Fox News, CBS, CNN and other news networks. He is a skilled litigator as well as a respected legal professional with unparalleled knowledge of the cyber security issues that affect company’s today. The major focus of his practice has been cyber crime, and Mr. Bukh has developed a comprehensive understanding of state, federal, and international laws related to hacking, Internet privacy, and the online sharing of information. Mr. Bukh will put his extensive legal knowledge and background to work to provide you with the legal advice you need to protect your business in all things related to cyber security and the Internet. Mr. Bukh is the founding partner of Bukh & Associates, a large New York City law firm that has represented high-profile clients including an alleged co-conspirator in the 2013 Boston bombing marathon. While building his firm into one of the most respected in the city of New York over more than four decades, Mr. Bukh became enmeshed in the world of cyber crimes and Internet hacking laws. Mr. Bukh has successfully represented some of the most well-known and notorious hackers in the world, including many members of international cyber crime rings responsible for stealing millions from companies and individuals worldwide. Mr. Bukh’s past clients have been accused of identity theft; hacking; and distribution of spyware, among many other online offenses. Mr. Bukh has represented the “king of spam,” as well as served as the attorney for cyber criminals who have stolen millions from the friends of former presidents and state leaders. While developing cases and helping clients to avoid conviction or fight for light sentences, Bukh became intimately familiar with the process used to investigate cyber crimes as well as with the laws intended to prosecute offenders and protect businesses. Mr. Bukh knows the rules and regulations that apply to online crime and he knows how investigations are conducted when hacks occur. He understands how hacking and cyber crimes affect business, and he knows what companies can do to protect themselves legally and to respond when an attack occurs. All of this legal knowledge will be brought to the table to help your business if your company’s data has been under attack. Mr. Bukh will advise you on a company’s obligations and duties in complying with Internet privacy protection laws, and will assist with corporate investigations of cyber security issues. He can help with cyber due diligence, and can provide the representation your company needs in order to take legal steps to prevent copyright theft, counterfeiting, piracy and other actions that can affect your brand. As a criminal defense lawyer who has represented the world’s foremost computer criminals, Mr. Bukh has developed the type of real-world experience with cyber crime laws that is unmatched in the industry. When you need a lawyer with an inside understanding of both sides of the cyber crime world, Mr. Bukh is the attorney you are looking for. His services are part of the package offered by Aegis Cyber Security and are part of what makes our cyber security firm so unique. To learn more about how the team at Aegis can provide your business with comprehensive support for all of your Internet and network security needs, give us a call today.